I’ve just come in from playing in the rain, jumping in puddles, squishing my boots in the mud and twirling my umbrella to spray the droplets off into fans of angled rain. The best use for an umbrella is to supercharge the delight of rain, and the best part is, you get to decide how it does that! You decree whether the umbrella shelters you, spins a kaleidoscope of triangled patterns in your cocooned universe, becomes a drum kit turning the beat beat beat of the rain into music, or… captures water in its bowl acting against the convention of repelling rain. Getting wet is GOOD, as this weed, with upturned leaves acting as upside downed umbrellas can attest! Every structure in this weed works to allow the rain to pummel and reward, to be caught, displayed, directed, absorbed, soaked and celebrated. 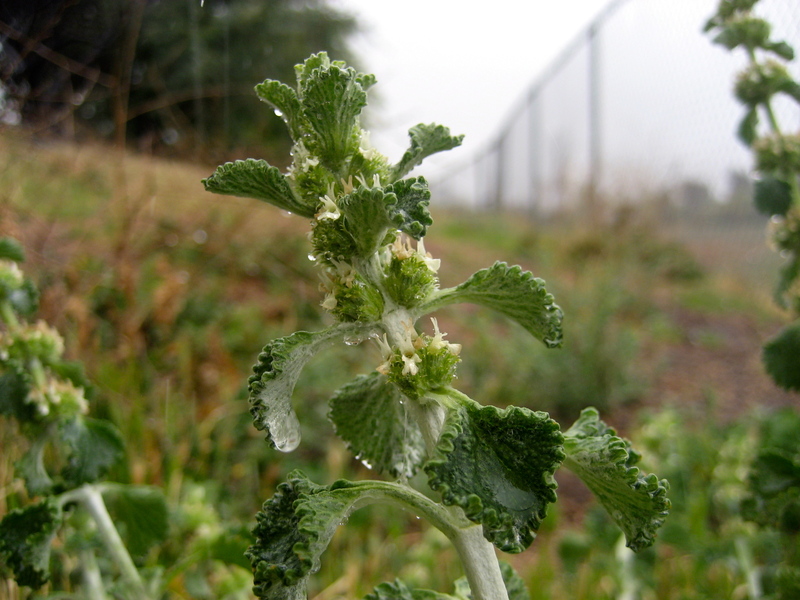 This weed and I both delight in the rain and the symphony of delights it gifts to us.